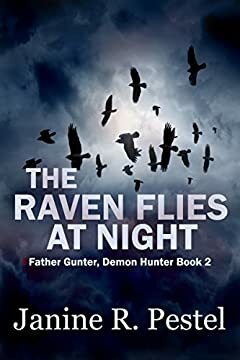 In this second installment of the paranormal series "Father Gunter, Demon Hunter" Father Johann Gunter and his partner in demon hunting, Robert Durling, travel to the town of Mountainview. The town has been besieged suicides and the whole atmosphere of the town is bleak. When Johann and Robert meet Belinda Carstone, the TV reporter, they learn about her dreams, and how they lead her, and ultimately Johann, to the demons. After another run-in with the black Dodge Challenger from "The Bucktown Babies", the series takes a darker, more ominous turn. Beware...the raven flies at night.